When interior space and serenity really matter, the Sentra delivers in a big way. Those facing long, tortuous commutes will also appreciate the practical charms of its Xtronic Continuously Variable Transmission (CVT). Standard on the 2.0 and 2.0 SL and available on the 2.0 S, it earns even better EPA mileage numbers than the six-speed manual. This car is the best ever. I really enjoy my Nissan Sentra. It is a very reliable car and I have over 150, 000 miles and she is still running really well. The car is also very durable I have been in accident and my car has always been the one to leave without much or no damage. The Nissan is efficient with gas and does not break the bank every time I fill up. I do really enjoy this car. Seats are comfortable and everything is easy to use like the Bluetooth feature. Nissan cars are not made to last anymore, like they use too. My car only has 79,129 miles on it, and I purchased with 13 miles. 4 years ago I had to replace the sensor as the engine light was still on after I was told I needed a new transmission, less than 50k miles. And the lower arms need to be replaced for 18 months as unable to do alignment, which I usually get when I buy new tires. And it has always sounded like a truck going around curves and up any slight up incline. 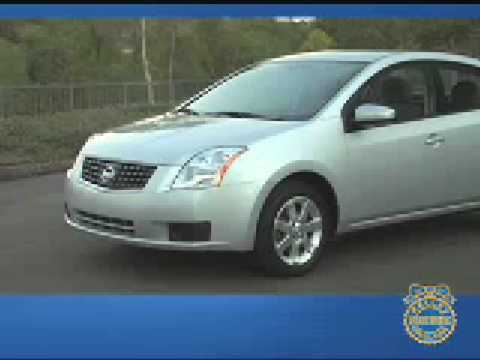 NISSAN IS RECALLING 169,202 MY 2007-2008 SENTRA PASSENGER VEHICLES EQUIPPED ROBERT BOSCH MASTER CYLINDER. DUE TO THE MACHINING IRREGULARITY BY THE SUPPLIER, THE INTERNAL SEAL GROOVE IN THE BODY OF SOME BRAKE MASTER CYLINDERS MAY ALLOW FOR A GAP IN THE GROOVE CONTACT AREA OF THE SEAL. THIS MAY RESULT IN BRAKE FLUID SLOWLY LEAKING FROM THE MASTER CYLINDER INTO THE BRAKE BOOSTER ASSEMBLY. IF THE AMOUNT OF BRAKE FLUID IN THE MASTER CYLINDER RESERVOIR DECREASES TO A PARTICULAR LEVEL, THE BRAKE SYSTEM WARNING INDICATOR WILL ILLUMINATE AS DESIGNED. IF THE WARNING LAMP IS CONTINUOUSLY IGNORED ONE OF THE BRAKE CIRCUITS ON THE VEHICLE MAY NOT OPERATE AS DESIGNED INCREASING THE RISK OF A CRASH. DEALERS WILL INSPECT THE MASTER CYLINDER/BRAKE BOOSTER ASSEMBLY AND IF BRAKE FLUID LEAKAGE IS DETECTED, THE MASTER CYLINDER WILL BE REPLACED WITH A NEW ONE FREE OF CHARGE. THE RECALL IS EXPECTED TO BEGIN ON JULY 23, 2008. OWNERS MAY CONTACT NISSAN AT 1-800-647-7261.